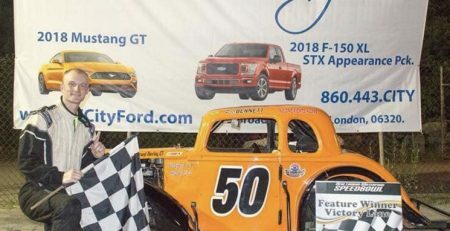 WATERFORD — Anthony Flannery spent the first three months of the New London-‪Waterford Speedbowl‬ Late Model 2018 season stuck in neutral. The season entered August and he was still searching for his first win. He knew what he had to do, however, to change that statistic. “We needed to find one thing that no one else had found,” Flannery said. Once he found it, he also found victory lane. And he kept on finding it. 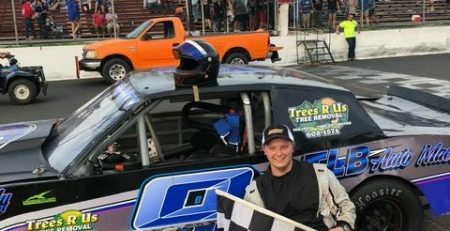 Flannery captured seven out of the final eight races to capture his first ever Late Model championship by 15 points over runner-up Jason Palmer. 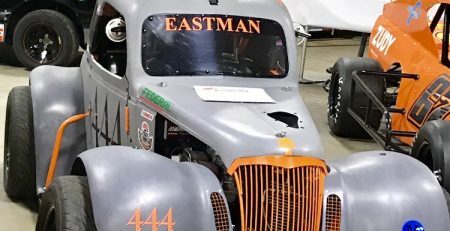 Flannery will be officially named Speedbowl Late Model champion at “The Stars of the Speedbowl” Banquet scheduled for ‪Saturday, Feb. 9‬ at the Mystic Marriott. Ticket forms can be located at ‪www.speedbowlct.com‬. Flannery will be a happy champion. 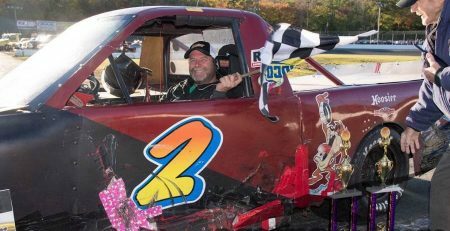 Flannery said the Speedbowl competition helped take his game to the next level. There was one thing that was keeping Flannery from dominating that competition. The season started to turn around for Flannery ‪on Aug. 5‬ when he pulled away from the combination of Ryan Morgan and Palmer to win by 20 car lengths. They stayed hyped up as Flannery enjoyed one of the hottest rampages of his career. Instead, Flannery nearly ran the table. 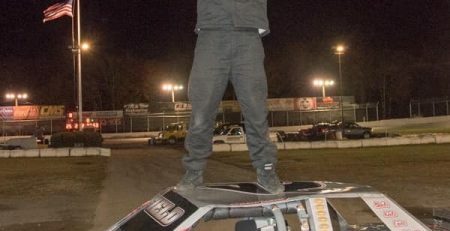 His most dominant night of the season took place ‪on Aug. 31.‬ There were two Late Model features scheduled for that night, and Flannery won them both. Between visits to the winner’s circle, Flannery attended a friend’s wedding. He made it to the ceremony, to the reception and to victory lane — all in the same night. Helping make that hot streak possible were Belltown Motors and Belltown Recycling, East Hampton Auto Parts, Leonard’s Auto Parts of Stafford. Critical Signs and Team Critical, Larry’s Auto Machine and Finishing Touch Home Improvement of East Hampton. His crew members include Kevin “Harvick” Talbot, Mark Sweeney, Tony Flannery, Rick Williams and Dave Etheridge. Flannery plans to cut back on his racing schedule for 2019 because of other commitments. 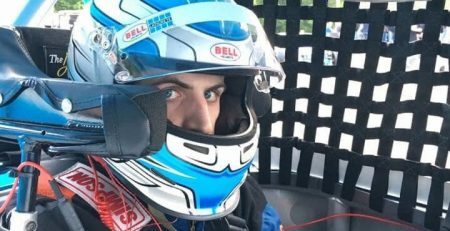 Flannery does plan on competing in a few Late Model races, including the Full-Fender Throwdown at the Bowl, but his main focus will be to run a limited schedule in the Valenti Modified Series. 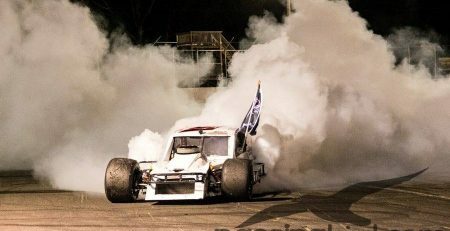 Besides, he’s already treated his crew, and himself, to one of the best second-half season comebacks in Speedbowl history.